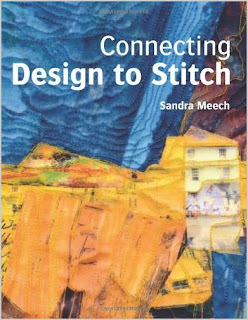 Sandra Meech has written Connecting Design to Stitch as a very serious book on design, a much more scholarly work than most. So often we expect our quilting and fiber arts books to be about techniques, but Sandra has taken a different approach. 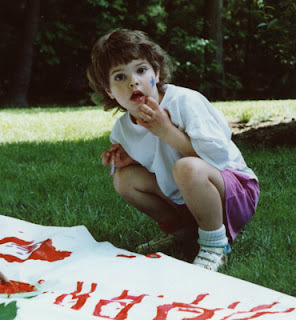 She feels we should pick our colors, embellishments, and surface techniques wisely, not based upon what the latest trends and materials are, but rather based upon how well they will support our theme. Connecting Design to Stitch explores how our theme can be carried through our textile art through the judicious use of design elements and principles. Sandra focuses on the creative process more than the details of technique, and she also includes interesting exercises to help us refine our own patterns and preferences. then their eye will be led across the rest of the surface." This can be tough for people who have learned quilting through traditional methods, like creating bed quilts with their regularity in design. In order to break through, it is essential, Sandra feels, to have a design wall and a digital camera. Makes sense to me. My favorite parts of this book cover about a gazillion suggestions for sources of inspiration, just in case your well runs dry. There are also excellent sections on abstract textile art, compositional styles, and border design. All in all, if you are looking for help with design, this is a great place to start. This book sounds great! I am going to look out for it at the Knitting & Stitching Show tomorrow...thanks for the review.